●The gas emission power can be adjusted! 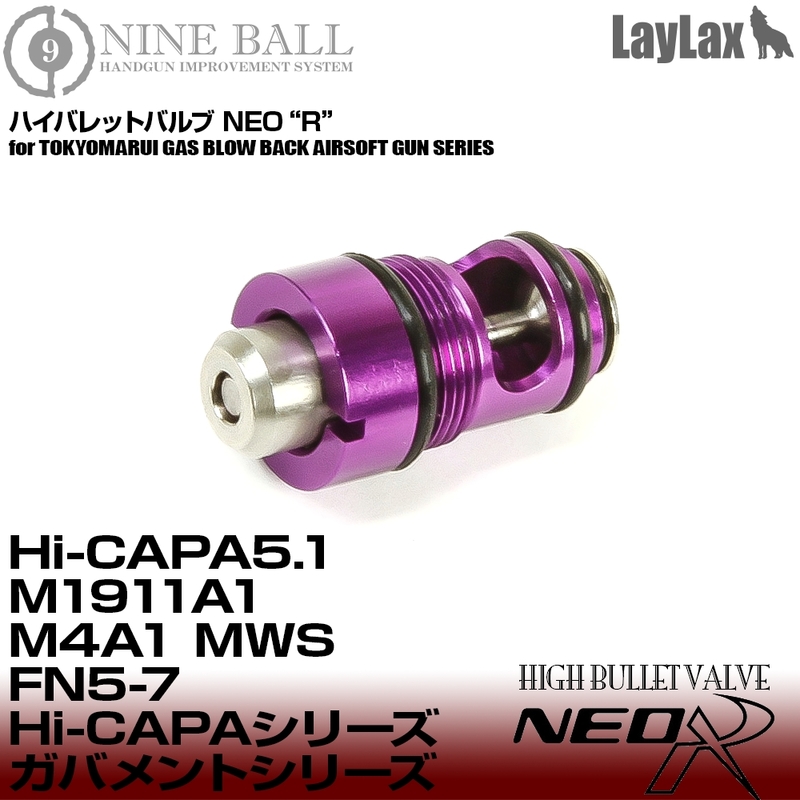 By installing LayLax NINEBALL “High Bullet valve NEO R” series, you will experience superb gas emission control, and preventing velocity decrease. The valve comes with “variable mechanism” which the users can adjust the power by controlling the valve opening. Valve opening can be adjusted from: “Fully open” to “Fully closed”. When the Valve is “Fully open”, it is great for shooters hoping for high power. 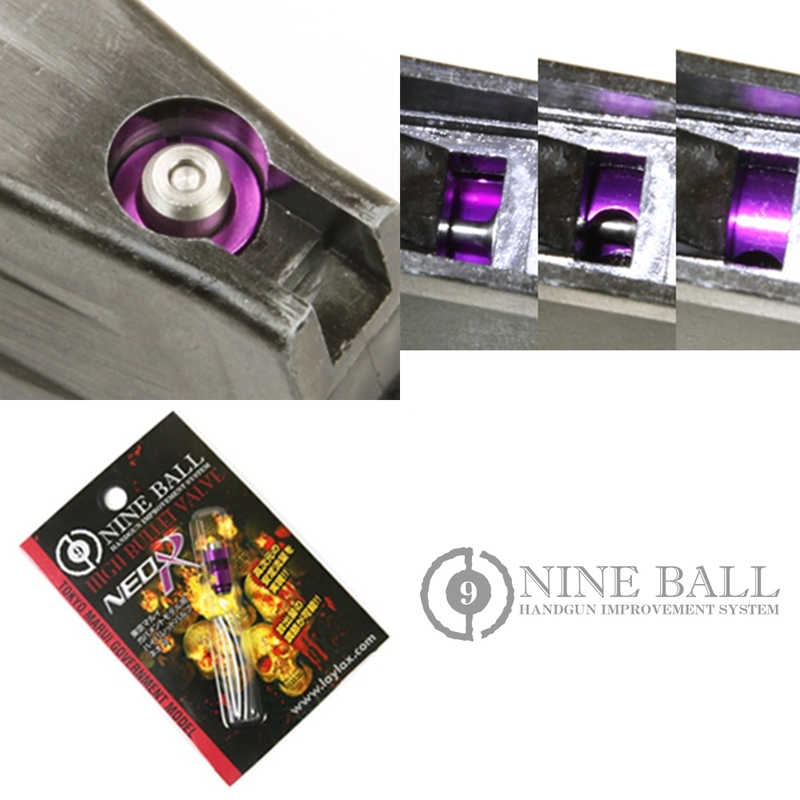 “High Bullet valve NEO R’s performance will be just like a power up custom valve. When the Valve is “Fully closed”, it is great for shooters hoping for stable accuracy. The velocity will be stable and increase gas fuel efficiency. 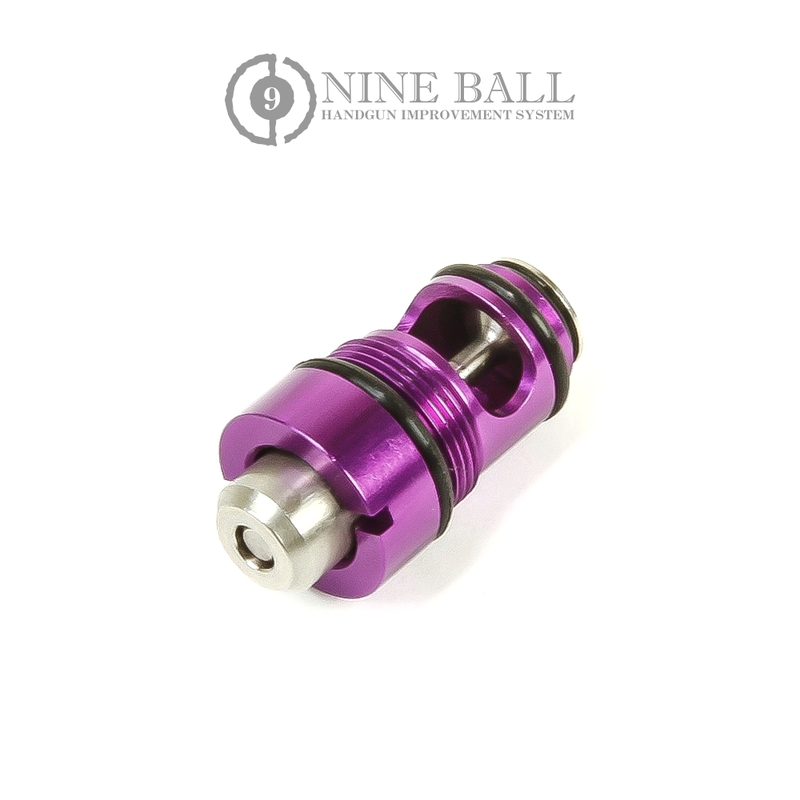 Also it is effective for sound muffing when shooting, and prevents breakdown due to high pressure and high temperature. You can control and setup your valve to best suit the condition & your usage! !